Herman Cornejo’s curtain call on June 21. Photo by Leena Hassan. There were several débuts in ABT’s Swan Lake this week. I caught two: the soloist James Whiteside (dancing with Gillian Murphy) and Herman Cornejo (alongside Maria Kochetkova, of the San Francisco Ballet). 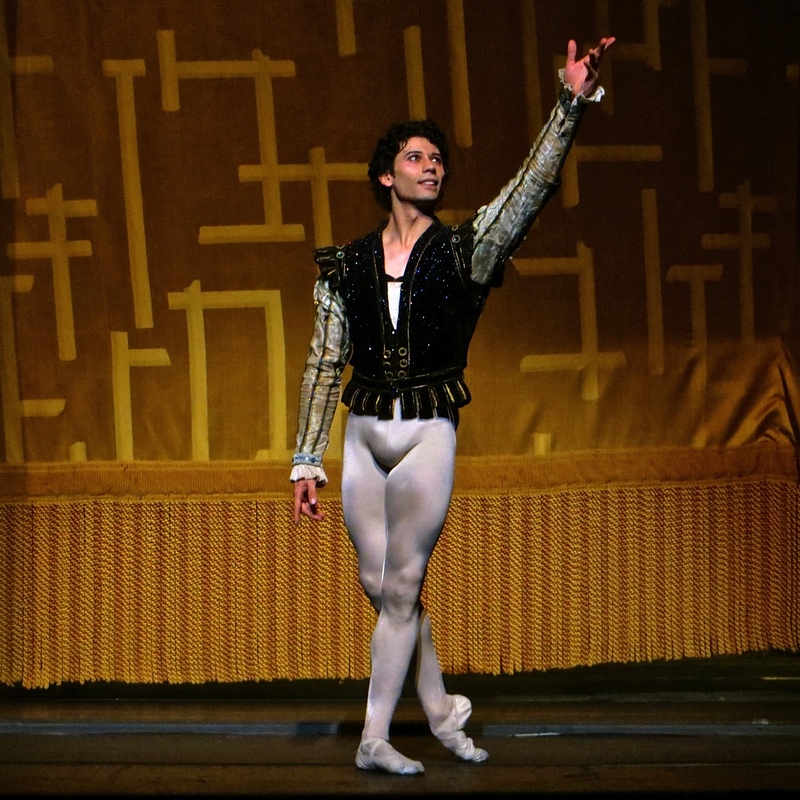 Cornejo danced to the manner born–he was put on this earth to play Siegfried, it seems. The only thing that has kept him back this long is the everpresent problem of finding a partner of his size who dances with the same panache and scale. Originally he was scheduled to perform with Alina Cojocaru, who just retired from the Royal Ballet. But she pulled out at the last minute (because of an injury, they say), and was replaced by Maria Kochetkova. In many ways, Kochetkova is just right for him, though she doesn’t seem to have the same open-heartedness or warmth. But who does? Here is my review of both casts, for DanceTabs. Maria Kochetkova and Herman Cornejo at their curtain call. Photo by Leena Hassan. Previous Previous post: How Fares My Juliet?